Just stopping in with a very quick and last minute entry in the PC color challenge! This is sure a fun color combo! Thanks for stopping today! Hope you are having a great weekend! Just in today with a super quick LF card! I got this new set the other day and fell in love with this airplane! SO cute! 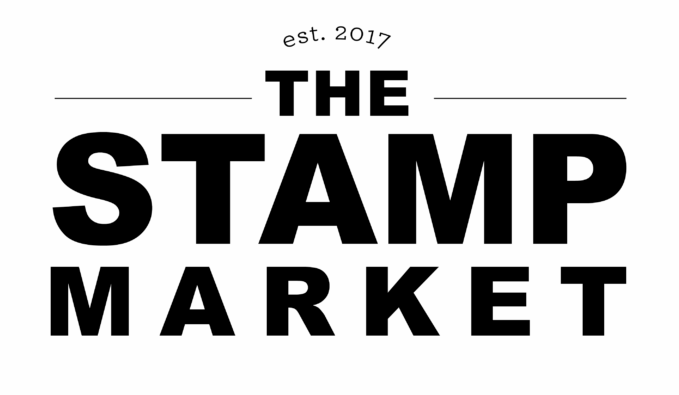 I love that these stamps are so easy to cut out! I just cut around the edges and then used a black marker around the sides to give it that finished look! I also added a little glossy accents in the windows! We are coming along on the basement remodel! everything is done except for the linen closet, the closet in my dd's room and the flooring and trim in my room! I am having a hard time waiting! The lighting in there is so amazing that I might just move a table in there even though its not finished! LOL! I will have to share some more pics soon! Hope you all have a fantastic weekend! 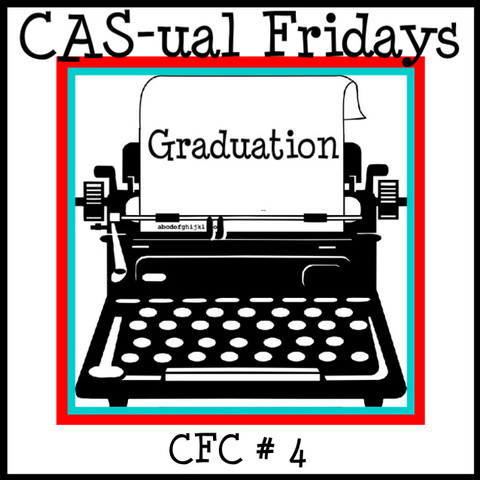 This weeks CAS-ual Fridays Challenge is all about graduation! I have a couple cards here to share with you that I made for some of my customers this year! 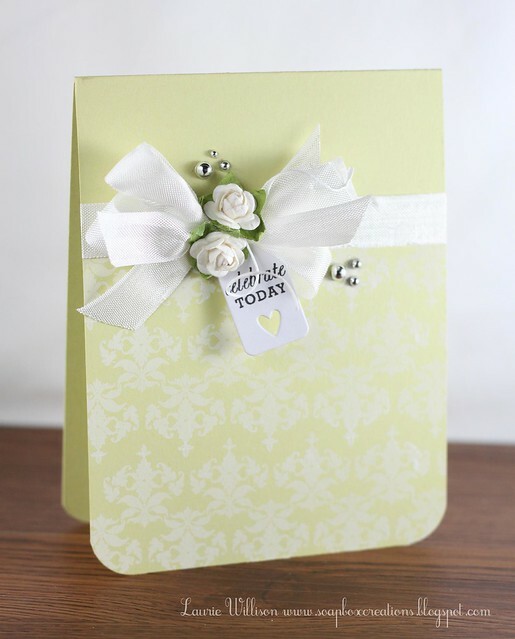 Graduation cards are so fun to make! Thinking about the kiddos who are getting them and where they are in their life! On to new places and new things! 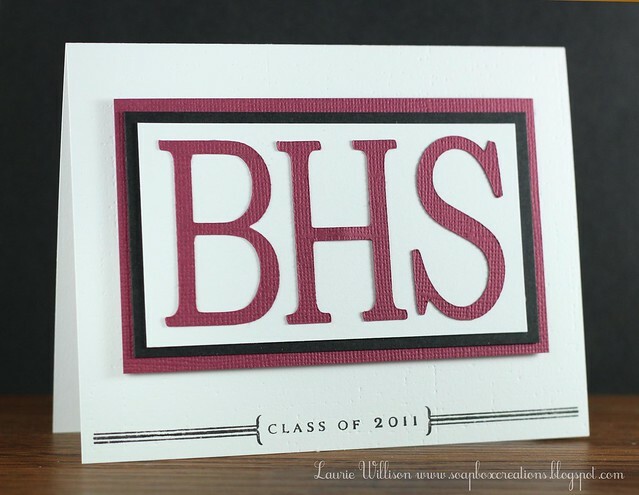 Personalizing these cards to the school color makes them even more fun! And really, our town has good colors...which helps! 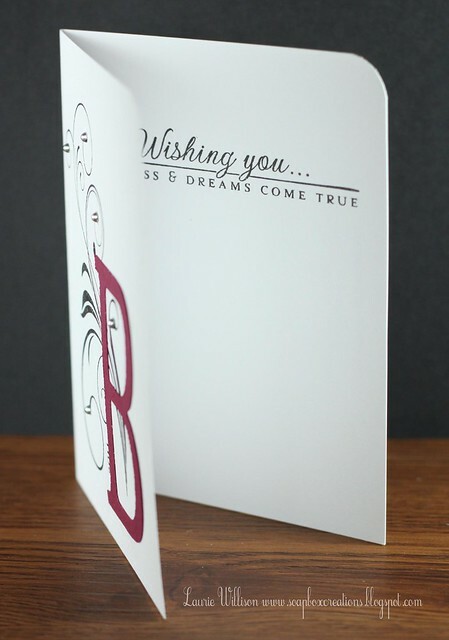 So here is my first CAS, elegant, girly kinda, grad card! 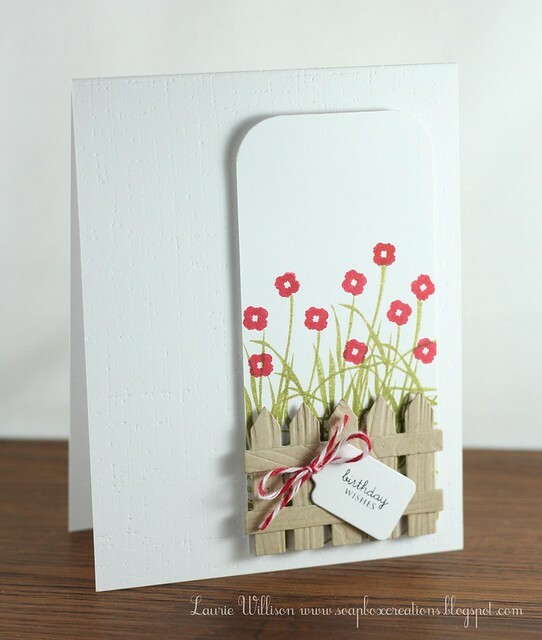 I love the CAS style with that Linen in the background...YES I want to put that into every card!! Then I stamped the date to make it even more specific! And some bling....doesn't hurt! hehe! 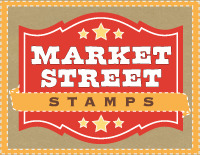 Our sponsor this week is Market Street Stamps! Go check out the CAS-ual Fridays blog to see about a little prize for the week! :) And don't forget to check out the other Girl Fridays and their CAS creations! 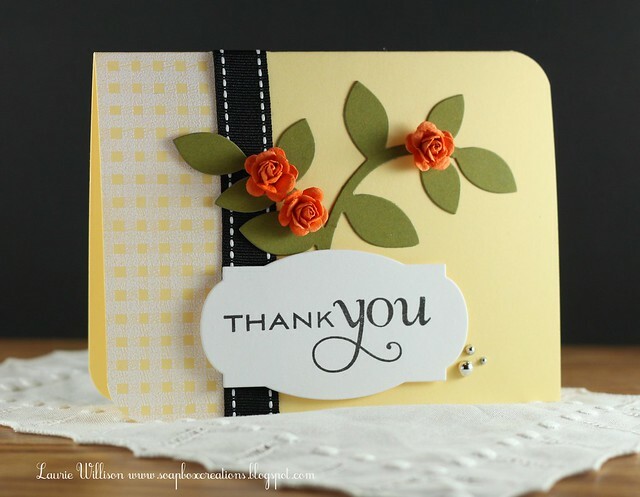 Welcome to PTI's May blog hop! This is a fun one for sure! Well...they are all fun really! But this one is all about flowers! And flowers are fun! May is the month when many flowers finally go into full bloom after a long winter's sleep. 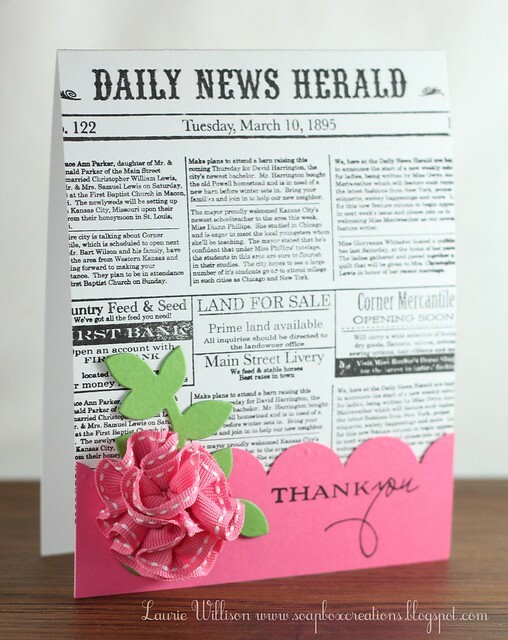 For the blog hop this month we want to see your favorite take on flowers. 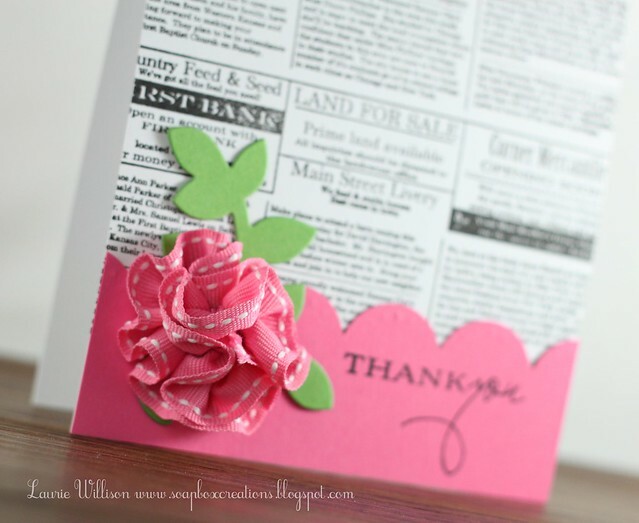 I made this flower using saddle stitch ribbon! I made a how-to video last year! You can see it HERE! 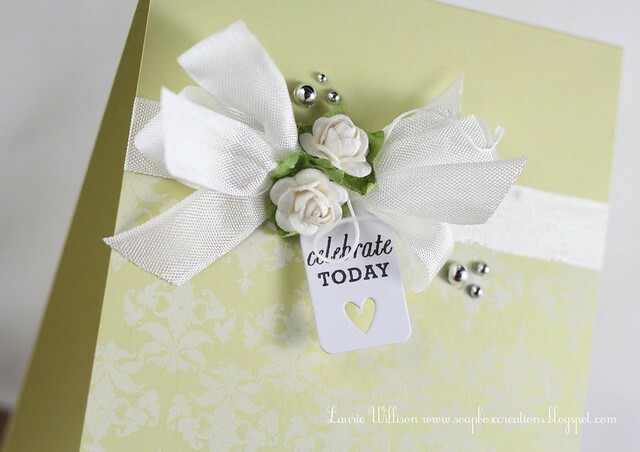 It is a really fun way to use your ribbon and make super fun flowers! I love this flower and really don't ever use it enough! 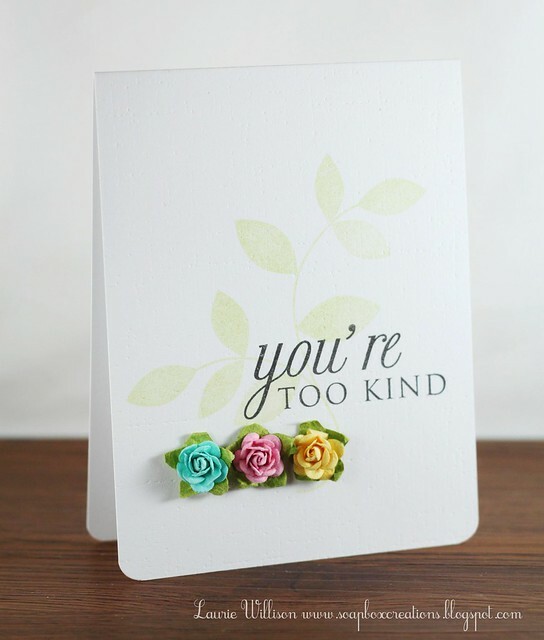 That fantastic sentiment is from the new PTI anniversary set! I love it!! Hope you like my card for today's hop! 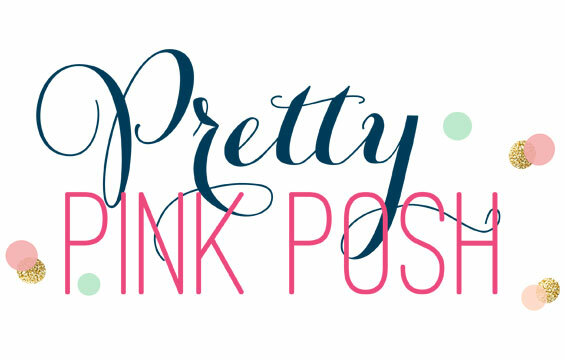 Stop back by Nichole's blog to see a full list of participants! Thanks for stopping! He is so cute in all different colors! I love him in aqua don't you? And that fabulous star background is from DeNami too! Stop on over to the DeNami blog to see all of the other DT cards! Believe me...I have seen them! You don't want to miss them!! It's not my Sweet 16! I wish. Well not really. But I sure would like to go back to the days of no responsibilities. No bills. Sleeping in till noon on the weekends. No diapers. OK, I could keep going. 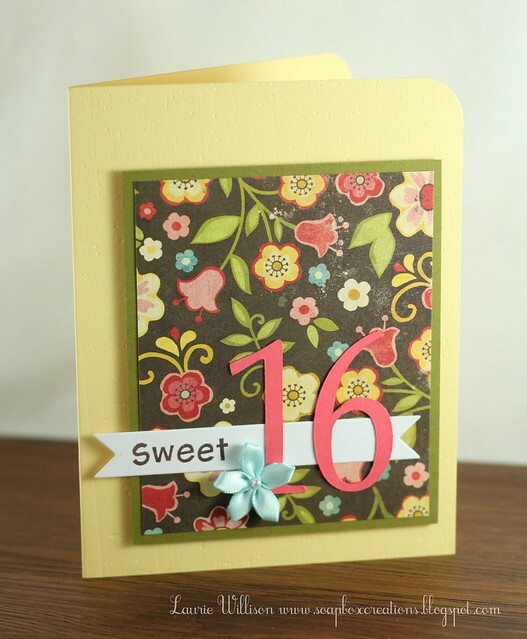 I had a customer ask for a birthday card for a 16 year old, so I had to bring out some fun patterned paper and bright colors! I cut out the "16" with my Cricut! 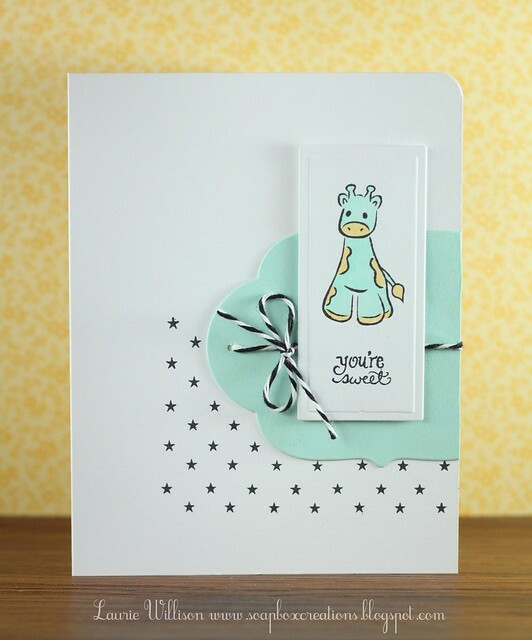 I used Lawn Fawn's Harold's Alphabet for the "Sweet"...love, love that set!! And yes...again I used PTI's Canvas for the background! I can't NOT use that IP! It just gives a little bit of texture! So fun! Thanks so much for stopping by today! Have a great Tuesday! First off....Spoiler Alert for those of you who don't want to see the PTI Anniversary Set....don't scroll down! Today is Merry's birthday! She is one of my super sweet PTI Forum friends! A few of us are getting together to send out some birthday wishes for her! Merry I hope your day is fantastic! I've been thinking about you! Hugs!! This set is FABULOUS!!! I know that this will be one I use A LOT!!! The different flowers are so fun and the possibilities are endless! 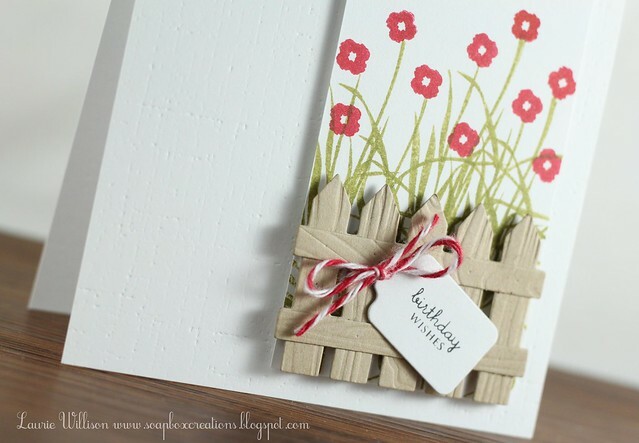 I stamped the grass and stems on a 2 1/4 panel, just perfect for the new picket fence die! Then I ran that through with the wood grain impression plate! 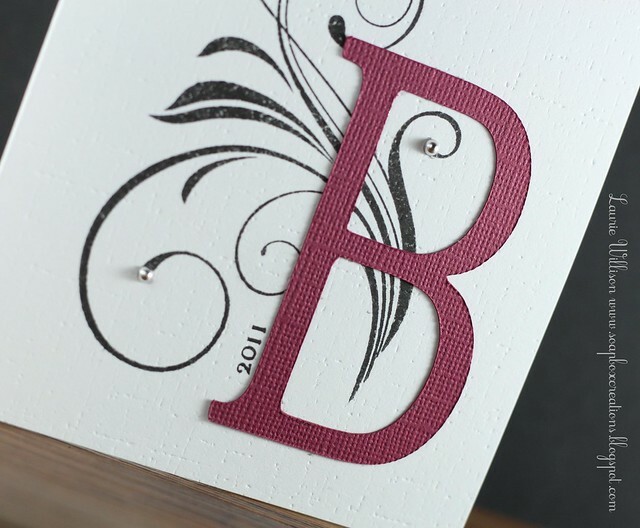 And again, you can see some canvas IP on the base of the card! I used the birthday sentiment from Mixed Messages! It fits perfect on that tag die, also from PTI! I am so glad you came by today! This is a gorgeous Sunday! The sun is shining here in Kansas and so far the weather is beautiful! Hope your day is just a great!! EDIT: I had 3 anniversary sets! 2 are sold and one is pending! Check with me if you are still looking for one and I can see what happens with that last set! 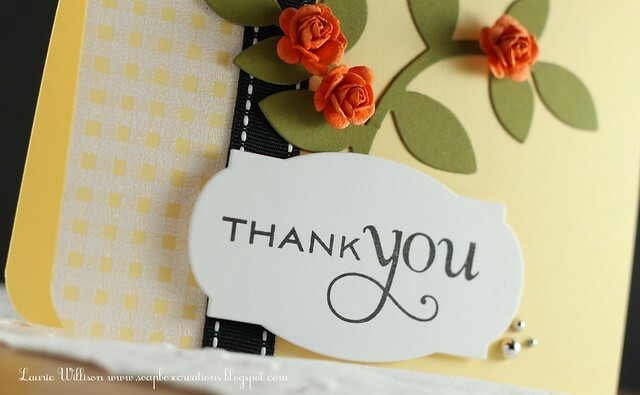 Thanks everyone!I am asking $25 PTI gift certificate or Paypal personal payment. This includes shipping within the U.S.! They are still wrapped in tissue paper and ready to find a home! Believe me, you will LOVE this set! Click HERE to view the full set! 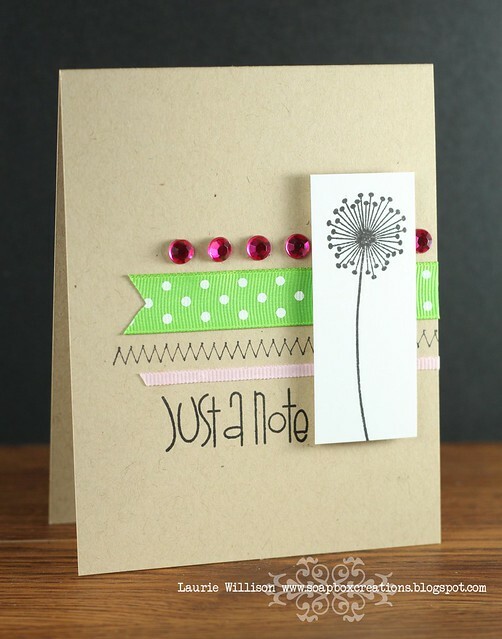 The dandelion is from Practicing Creativity and the sentiment is from Paper Smooches! I just love that dandelion! So cute! 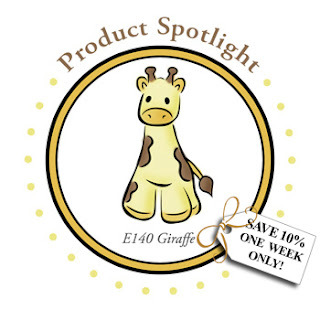 The weeks sponsor is Nikki Sivils Scrapbooker! Check out the CAS-ual Fridays blog for more about the prize for the week! And don't forgot to stop by the CAS-ual Fridays blog to see all the DT creations! Have a great Friday!! First, I centered a rectangle nestie on my card and traced a small line at each corner so I could have the box centered. Then I took that same nestie and a 4 /12 x 8 1/2 piece of typing paper and put the nestie in the center. I ran it through my big shot and then took the piece of paper and centered it to my pencil lines! Then with some removable tape I attached the paper down to my card. I used Tim Holtz Broken China blue distress ink and a sponge for the sky. Then I took my hand cut foam clouds and stamped them with Fresh Snow...(after all was said and done don't ask me why I didn't just use my Up, Up an Away clouds...). It was super easy! 1. I just used the small banner die and cut out 4 banners with white cardstock. 2. 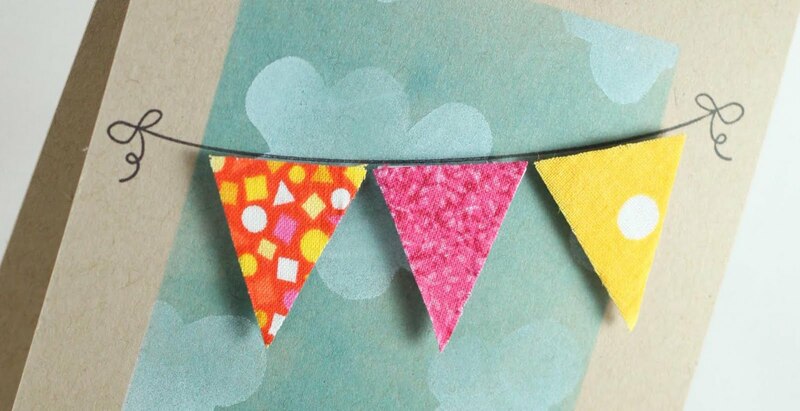 I covered the front of each cardstock banner with ATG and then stuck each one down on a piece of fabric. 3. Then I trimmed around each die. 4. Here you can see all of the banners finished. I didn't end up using the green one but isn't it so cute? I love the polka dots! And that's it! Super easy! OH and I attached each one with foam tape for some dimension! So that is all I have for you today! 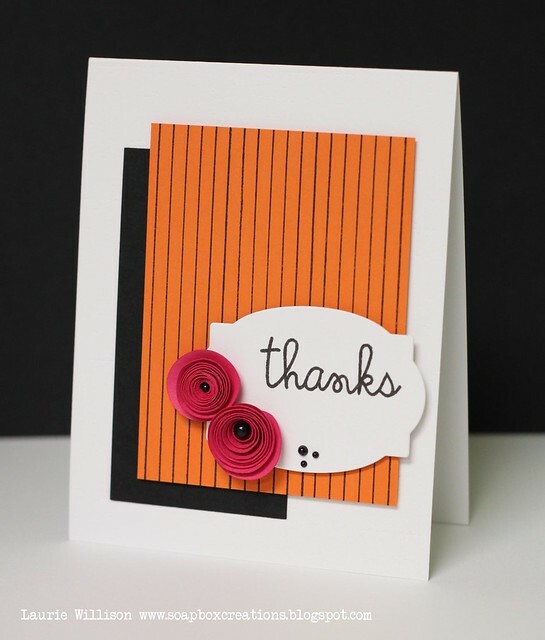 Thanks to Kasia for all of her amazing inspiration! I decided this today! I tweeted it earlier just in case anyone needs me...that is where I will be! 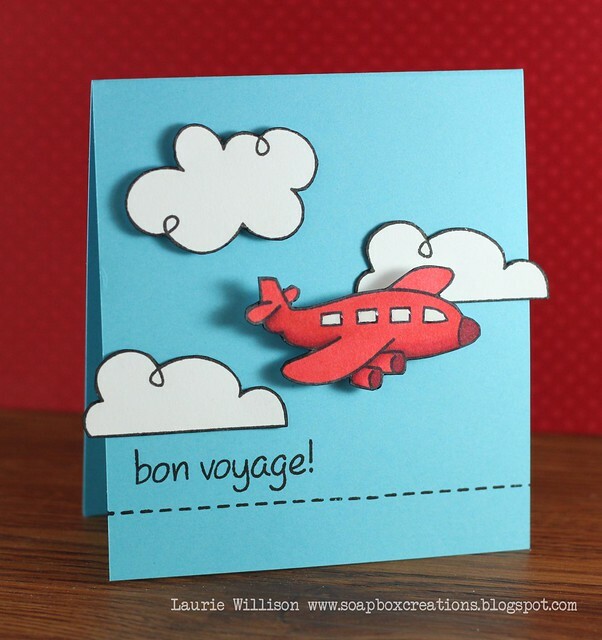 I am packing up today and heading out! I decided to move there because the beds look so comfy and the flowers are gorgeous, the food seems amazing and the craft rooms? Well, they need me to come live in them! They are over the top amazing! Then I found I had a moving partner! Amber is coming with me too! That comforter with the green and the white Damask! LOVE! Instant inspiration! I so needed this today! A good does of inspiration! Go there if you are in a rut and you will find some amazing pictures! Amber tweeted me back and said she was making a "Moving to Pinterest Land" board! So I did the same thing! We are pinning our favorite places and spaces! Lots to see! 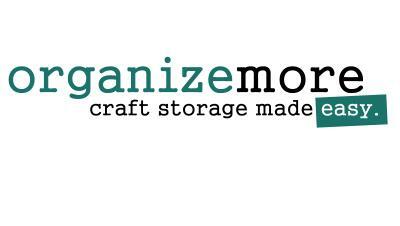 This will help out as I am about to decorate my new Craft Room! Thanks for stopping in! Now go check out Pinterest if you haven't already! If you are on you can follow me HERE! If you do I can follow you back! It's so fun to see everyone's pins! OH...they have an iPhone app too! That makes it super easy to check things out when you have a little spare time! Now here is a little challenge! 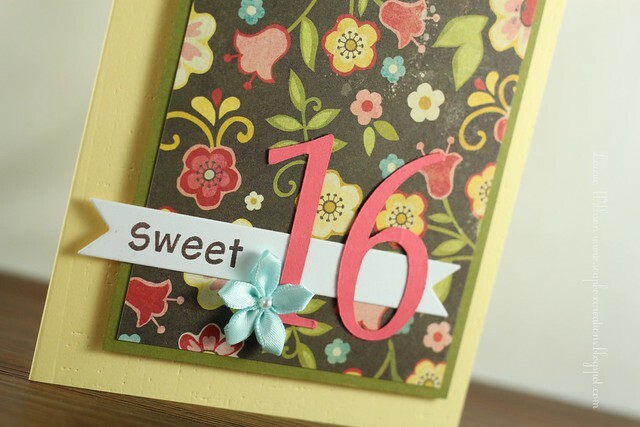 Go find some inspiration from Pinterest and make a card! Come back and link it up! I will leave the links up until Monday May 30th! Spread the word! If I have enough participation there may be a little prize involved! I can't wait to see what you create! 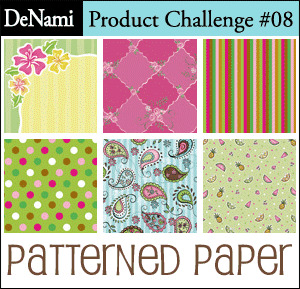 DeNami Product Challenge: Patterned Paper! DeNami is hosting a new challenge today! It's a fun one! It's Patterned Paper! 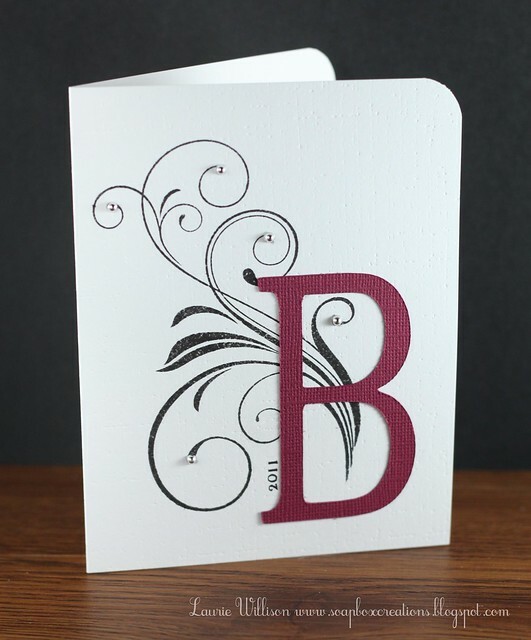 For this card I used THIS paper! I love the bright colors! I also used THIS adorable cherry stem and a sentiment from THIS Petit Four! 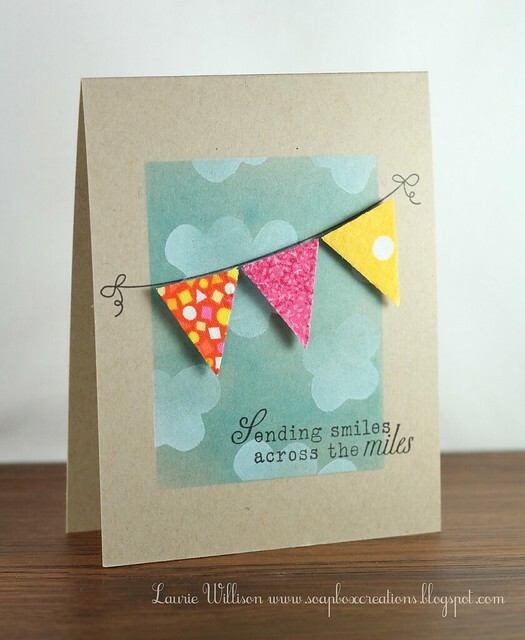 Don't forget to stop over at the DeNami blog to see all the other DT creations! 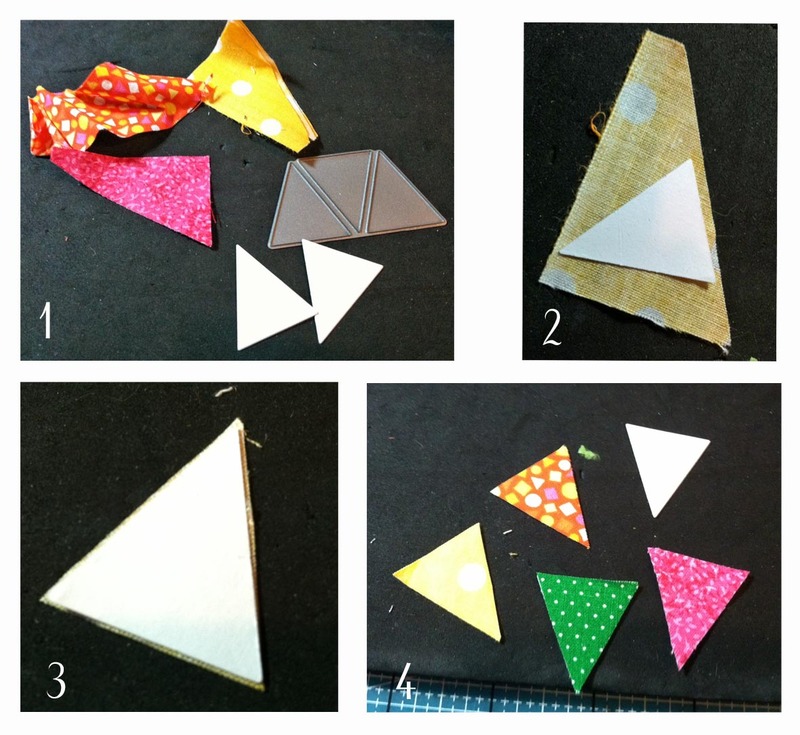 AND grab some patterned paper and play along! Thanks for coming by today! OK! I know you probably haven't noticed that I have been gone...(I have had a lot of scheduled posts!) but I have! I haven't sat down to make a card in about 2 weeks...ish. I have been having terrible back pain and my basement is still a mess! I won't even go into my feelings on sheet rock dust at the moment! (: I, on the other hand, feel totally disconnected from the crafting world. I haven't been on the PTI forum everyday like usual. I haven't checked my google reader everyday like usual. And of course, no stamping for me! So HI! Glad to be back! Thinking maybe I just needed a break! SO here is a new card creation today...very similar to a submission I sent in awhile back but never shared! I used a little Linen IP for the background! I forgot how much I LOVE that IP! And my little rose buds! LOVE! All that white space just sings to me! That is it for today! 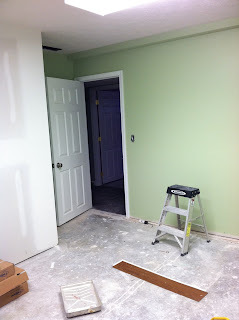 As far as my craft room....we are still in progress! This room used to be a guest room! It was 70's terrible! Paneling etc! I need to do before and after shots it was so bad! LOL! This is standing at the doorway looking in! I have one little window and I really get a lot of natural light in the morning! The electrician was just here and put those lights in for me! Talk about WOW! The craft room I have now, looks like a dark cave! We are putting wainscoting on that half wall with a big white shelf! I can't WAIT till it's done!! And here is the flooring and trim! I am hoping we get most of this done this weekend! Just praying my back holds up and I can stay pain free for awhile! I took these pic's from my iPhone and for some reason this pink is screaming loud for the photo! Not the case IRL! It is a very pretty pink! It matches a quilt I bought her a few years ago! We are putting white furniture in for her too! She is so excited she can hardly handle it! You can also see a little peak into the hallway! We are remodeling our basement in phases! This is phase one and includes these rooms and part of the hallway! We painted it gray with the white trim! It's amazing!! I never thought I would paint walls gray! But I am loving it! So clean and bright! OK, so that is what I have been up to! I can't wait to resume some blog hopping! I know I have missed a lot and can't wait to catch up! Hope you all have a fantastic weekend!! Welcome...FINALLY....to this weeks CAS-ual Fridays Challenge! Blogger was not cooperating but here we are today with a new challenge! I have to say right off......WOW!! Last weeks "texting" challenge was over the top amazing! I had so much fun looking through each and every card! Thank you to all who participated and made it so fun! I know that is alot of white space, but I had to let the buttons and twine speak for themselves! That twine is, of course, from the Twinery and those buttons? Well those are none other than DeNami buttons! Aren't they fab? 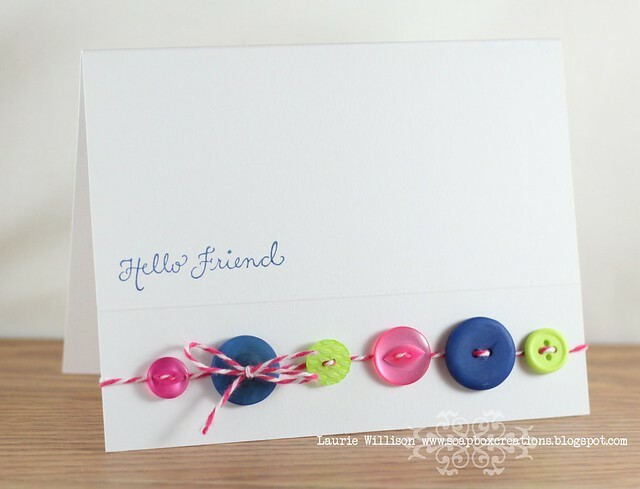 I love these bright colors with that navy blue! The "Hello Friend" is also a DeNami sentiment! Speaking of DeNami....they are our sponsor for this weeks challenge! Stop by the CAS-ual Fridays blog to see all about the prize for the week! And don't forget to stop in and check out the DT and all of their creations! So glad you could come by today! Please know that all the other DT girls are or will be working on getting their posts up soon! Please check back to see all the creations if they are not up yet! Hopefully Blogger will continue to cooperate! Thank you! !